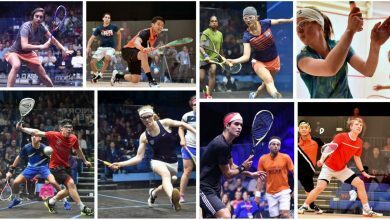 The already strong programme of squash ‘majors’ has been enlivened by the announcement that the SDAT WSF World Cup will take place in India next year from 8-12 March. Spearheaded by the Sports Development Authority of Tamil Nadu (SDAT), the biennial event will be held inChennai in 2011, 2013, and 2015, with the final rounds next year being played on an all-glass show court erected at theExpress Avenue Mall, the largest shopping complex in southern India. Sixteen national teams featuring top players from all over the world will compete, with two men and one woman being the format. Favourites to be vying for the title are expected to include Australia, Egypt, England, France, Malaysia, Netherlands, and hosts India. “We are eagerly looking forward to hosting the world’s best squash players in Chennai,” said a delighted TNSRA Secretary General Mr Srivatsan Subramaniam. The event next year will feature a prize fund of $(US)125,000, with $(US)50,000 going to the winning team. Endorsing this, WSF Chief Executive Andrew Shelley added: “We see it as essential to work with the men’s and women’s Tours to maximise our media impact and to provide a full range of world titles for our sport. I hope Egyptian Champions will win this Championship.